Hot on the heels of Minitube 3.0, here’s a new Musique release. Musique 1.6 introduces Genres. 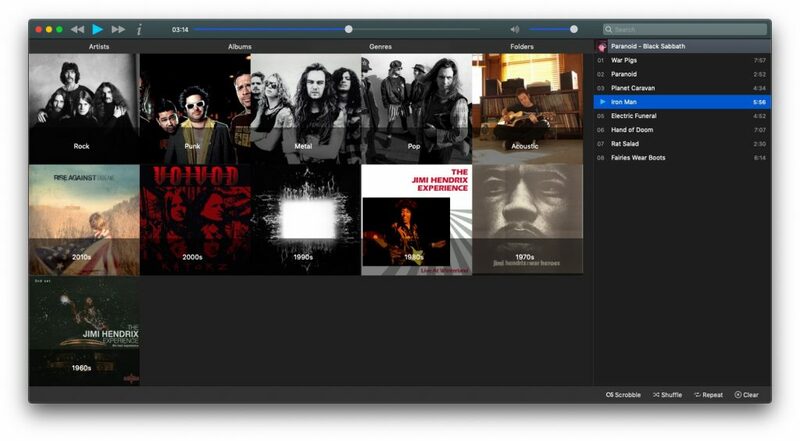 A new tab will show your music library automatically organised by genres, subgenres and decades. For example, you’ll see a Rock item. If you double-click it you will a get a list of subgenres like Alternative and Grunge. In this example, if you play the Rock item you will play all rock songs including Alternative and Grunge. Under the hood there are big changes. MPV is the new multimedia engine. Gapless playback is definitely better than before for file formats that support it. All other libraries such as Qt and Taglib have been updated to the latest version. Musique is a free download for Mac, Windows & Linux users so give it a try and spread the word. Enjoy! Should work for OSX 10.11 correct? When I try to open it, it says it doesn’t.